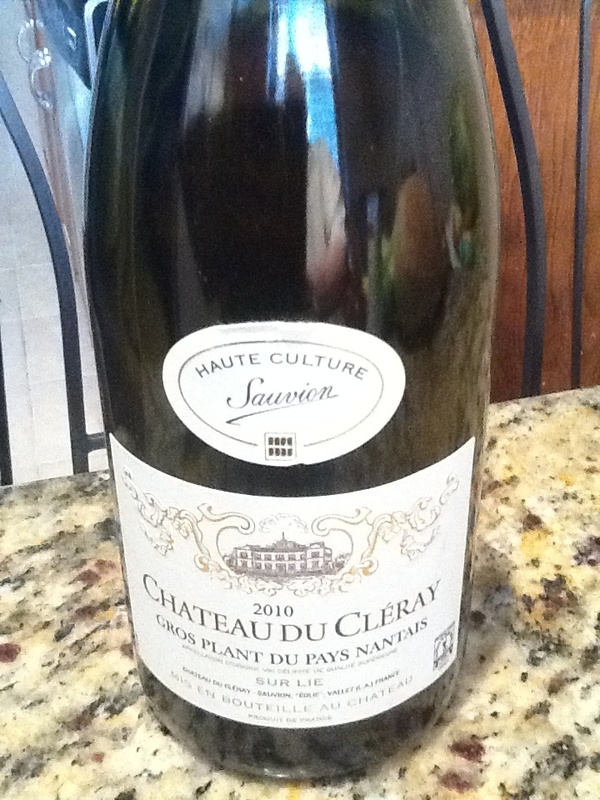 Luckily for the oenophile, Chateau du Cléray’s Gros plant du Pays Nantais is one of the few that made it across the Atlantic into our supply. Chateau du Cléray is a gentle and delicate white, the nose has a hint of citrus, the palate is bone dry with a hint of lemon and little else- making the wine perfect as an aperitif (from the Latin “to open” the palate), to stimulate the appetite, and to enjoy with an amuse-bouche, appetizer, or seafood entrée. This wine certainly won’t pair with just anything, but it is a perfect, understated wine that I am very happy to have tasted and added to my cellar to provide a perfect pairing in the correct moment. 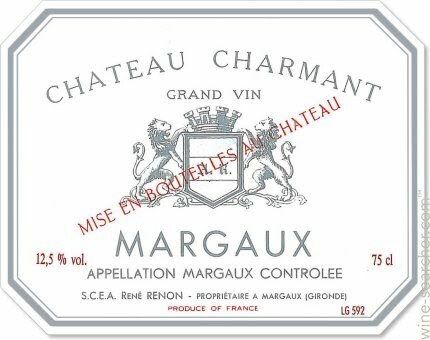 At $10/bottle, this Gros Plant demonstrates solid value and an excellent resource at that price! 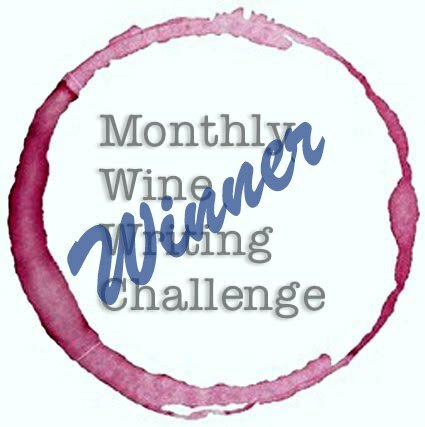 Chateau Lagarosse 2005: The Third Time Is the Charm! I tasted this first in 2008, then again in 2010. I recently took my 2012 bottle to task while making dinner a few nights ago. I’m happy to say that if you are storing this wine, it is finally ready for prime time! The color is deep garnet with ruby edges. The nose is red plum, grass and a little spice. In the mouth, I experienced lovely red fruit (cherry, red plum) with an extra hint of acidity (perhaps cranberry) over the top. In the younger samples, the acidity was behind the fruit and tannin, it seems the fruit has mellowed for the balance to be even and the wine to truly shine. Nice finish with notes of clay, tobacco leaf and cedar. This paired well with red meats on my first evening with this bottle, as well as with cheese and dark chocolate on the second evening. Premiere Cotes de Bordeaux (southern Bordeaux) wines can offer some excellent value in Bordeaux that have similar qualities to the areas of Graves and Medoc without the hefty price tag. I’ve seen this wine from $13-19 online, and picked it up locally for $15- which was a tad much when it was young, but a great deal now that the wine is mature and well balanced. It’s interesting to note that this vineyard was purchased by an American billionaire in 2002 who in turn sold it to a Hong Kong investor in 2011. You can read more about that HERE. Years ago, fellow oenophile buddy David Hoover cautioned me about drinking good reds before they were fully developed, and this wine is a good example of a wine that appears lackluster in youth but shines in maturity. The old adage “the third time is the charm” certainly is right in this instance. Four barrels (100 cases) produced, $20/bottle. The delight begins with the appearance of the wine in the bottle – crystal clear, salmon pink with a tawny edge – not a trace of haze or sediment; it invites one to open as soon as possible. Passing that threshold, the nose is distinctly floral, again the words that come to mind for me are clean and fresh. Inhaling deeply (yes, I did inhale) lets you feel a bit of the tang of the acid in this complex wine. Swirl in the glass and observe the lazy slow legs making their way down the sides. The first sip is luscious, hitting the tongue with a rush of sweetness that is not remotely cloying, followed by a smooth taste some liken to rhubarb cobbler. That’s a little specific for me, I would say soft fruit, but the cobbler image is probably a good one. Perhaps I’d say many flavors blended together. I’m not really adept at specific tasting notes, but the whole is absolutely smooth and refreshing, neither overly sweet nor bitingly dry. There is a long, delightful finish, lingering with no harshness. As the wine warms in the glass, it continues to improve, encouraging one to hold it in the mouth and only reluctantly swallow it down, but the reward for doing so is that luscious finish. You want to take another sip as soon as possible, but as you enjoy the taste, you transition to long drawn out time experiencing the silky feel of the wine in the mouth and contemplating the enjoyment of the finish to come. Then, a bit of extended nosing of the delicious citrus and cobbler rising from the glass – and the sensuous feel of the wine as it slides over the tongue – you want to make this ritual last for as long as you can. The hardest part is leaving some in the bottle for your partner. Master Moore and Modus Operandi Cellars represent a serious threat to my annual budget for wine. It’s bad enough that I was unable to resist joining the Modus Wine Club after trying some of their luscious Cabernet Sauvignon; I was not finished with my first glass of the Vicarious Rosé before I found myself online ordering more bottles. I worry that this will become a pattern with the wines from Modus Operandi – they tend to exceed all expectations. In the case of the Rosé, they also amaze with regard to price at just $20/bottle. In the Pacific Northwest, we’ve been waiting and waiting for summer this year; fortuitously, my Modus Operandi Wine Club shipment arrived just as the temperature finally hit 80˚ for the first time. The Vicarious Rosé is a wonderful warm-weather wine; its low alcohol level and clean taste are completely refreshing. It pairs well with many foods, we tried it with grilled Halibut and fresh roasted beets the first night, and good old fashioned hot dogs the second. 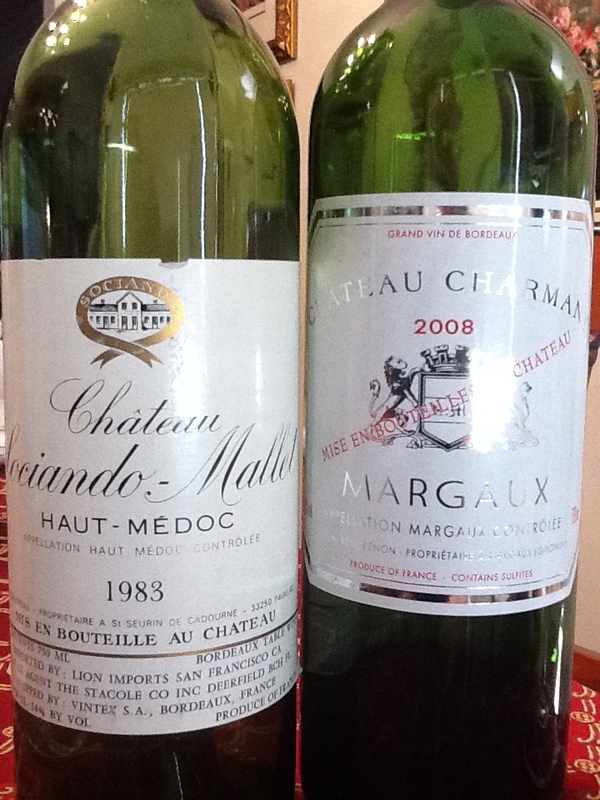 Perfect compliment to both, and each highlighted a different quality of the wine. The simple grilled fish with the sweet roasted beets emphasized the balance between tart and sweet of the Rosé, while the hot dog allowed the wine to show it’s power to clean the palate and make an old favorite taste even better. With both, the best part was the time after the meal relaxing and finishing off the glass, allowing the wine to come front and center and be the focus of attention. My friend and host of this blog Jim van Bergen has noted how impressed he is with the wines of Modus Operandi, and I have to agree (and thank him for the tip to try them out). Because I live in the Pacific Northwest, I tend to drink a lot of Washington wines, and am somewhat spoiled by the ability to find wineries like Baer, Hedges, Corliss, Canoe Ridge, Novelty Hill and others pretty much right in my back yard. And yet, I find myself returning to the website to order more Modus Operandi wines every time I sit down to drink one. Recently, looking at the wines in my cellar, I realized that many of them really want to have a few more years in the bottle before they reach their peak -but it seems to me that everything Jason Moore produces is intended to drink NOW – there’s no need to plan out the timing of when you’ll be able to drink it, no feeling guilty because you couldn’t wait until 2014 – there’s only the pleasure of exceptional wine asking only to be decanted and allowed to breathe for a bit before enjoying. 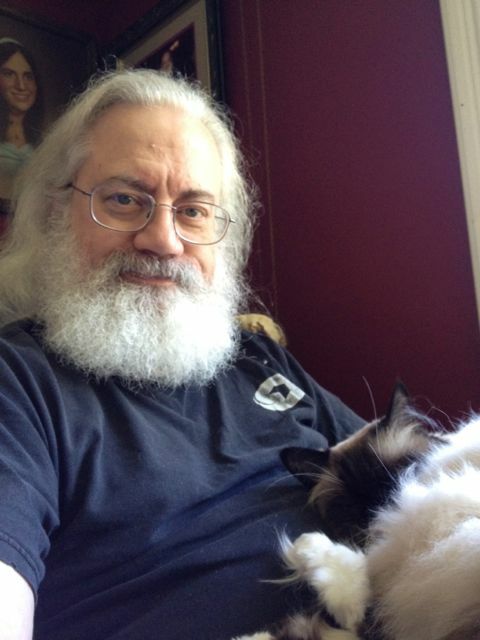 -Dave Tosti-Lane is a theatre sound and lighting designer living near Seattle. He is a founding faculty member and chair of the Performance Production Department at Cornish College of the Arts in Seattle. His adventures with wine, ignoring those earlier ones in college that more often involved screw caps, plastic glasses, and unfortunate mornings, began with an effort to increase HDL cholesterol through regular ingestion of resveratrol. He reasoned that if he was going to be drinking at least a glass of wine each day, it really ought to be good wine! Happily, his wife Linda agreed, and the cellar began to grow. I’ve enjoyed Duckhorn, a classic Napa vineyard, before. 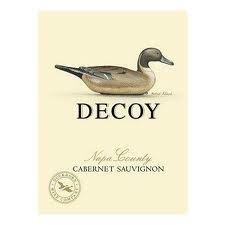 But I hadn’t enjoyed Decoy, one of their “second” wines. The color is deep ruby, the nose shows cassis and vegetation with hints of wood. In the mouth, it’s a decent combination of flavors- red plum, a little strawberry, some cassis. It feels like a melange of cabernet grapes blended with cab franc and syrah to provide a touch of oak, tobacco leaves and cocoa on the finish. Great with food, and available for $16-20. This wine fits neatly into the ideal range of value wines with depth. This is a nice blend of Napa reds from a provider that takes a note from the classic French vintners to make a ‘second’ wine in the shadow of their main $70+ namesake cab. For the money, the Decoy can be a great deal. I paired this with a salad and a pasta seafood dish and adored every minute of it. This wine starts off like a great pino noir and evolves from there. Red fruit on the nose, a palate bursting with fruit: blackberry, raspberry and a touch of strawberry. A quick, tight finish with a snap of floral elegance makes this wine drink well; it’s a great food wine. We opened this with appetizers, a combination of light and heavy flavors, the wine matched it step for step. From seafood to garlic spinach to truffle mashed potatoes, this wine was stunning. 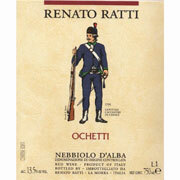 WS lists it at 90 points, it is a delicious, under-the-radar nebbiolo wine that is worth enjoying while you can get it. Online it sells for $15-23/bottle. I paid three times that in a restaurant and loved every drop! 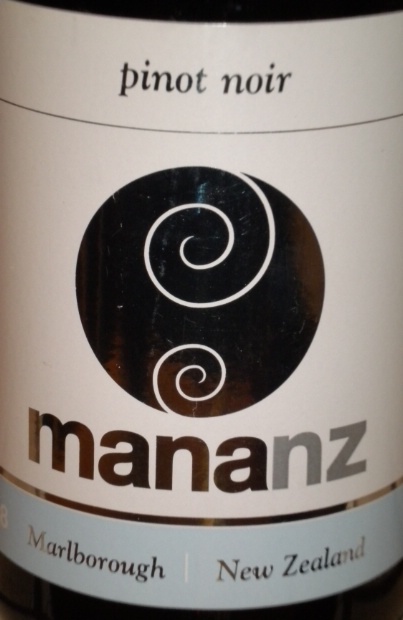 I found a bottle of ‘Mananz’, aka Mana, NZ Pinot Noir 2008 in the bargain bin at Sherry-Lehman in Manhattan. Next to a bottle of Lafite Reserve Medoc from 2006 (I must have purchased and enjoyed CASES of that! ), I felt like this was a great party wine waiting to be sampled… for $12/bottle? Count me in! The color is ruby with garnet edging. The nose features red, ripe cherry, green herbs and some hay, with a touch of earth. The mouthfeel is overpowered by bursting red cherries and herbaceous notes with cedar and a hint of sand. With the acidity extending the finish, it has a slight bite to it, making it best for pairing, not drinking by itself unless you prefer a tart pinot. 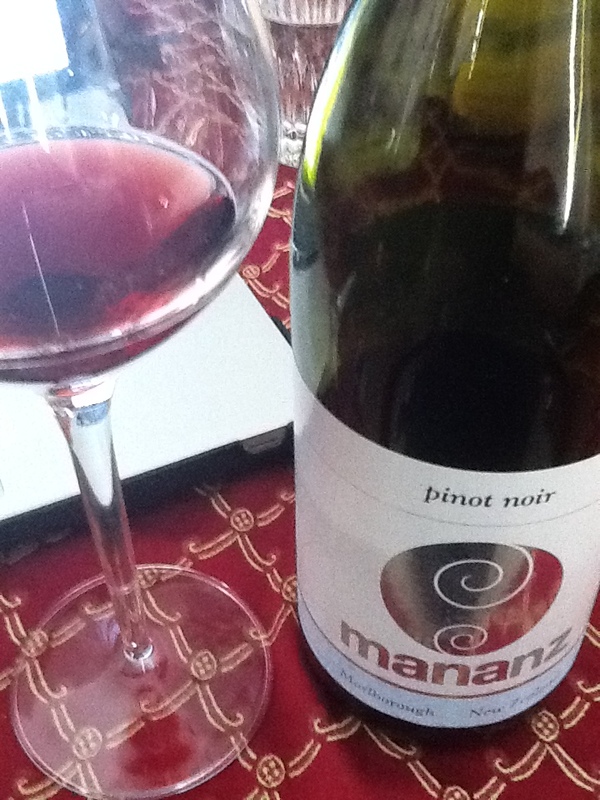 I’ve seen this Marlborough pinot available from $12-18/bottle, and on the lower end, it’s a good buy. It paired best with asian cuisine and mexican dishes that had some spice. I enjoyed it especially with veggie fried rice and fresh spinach, as well as with tortilla chips and a tex-mex dip that had both a spicy kick and a calming base to it. If you’ve been paying attention, I’ve been having an unusual reaction to a specific winemaker over the last several months. I’ll try to try to explain why: as I’ve said before, I’m a French wine snob. I was taught about Bordeaux at a young age, then Burgundies, then Loire wines, and finally ‘country’ French (non AOC) appellations. And when I first started buying serious amounts of wine, I bought a lot of Italian wine because it’s consistent and affordable, even if much of those wines are best at displaying only one or two notes. But like a great ball team, a great wine has to have more than one or two good notes- you can’t live on defense alone. You have to have good game- offense & defense, good management and a great second string standing by. Well, Jason Moore has done it again. Granted his wines cost a little more than I’d like to pay for wine to drink every day, but his wines are special wines to me and I can justify their cost. To me, they rank up there with classic premiere cru chateaux, top burgundies, & meursaults. Have you ever found something that rocks your palate like a Chateau Margaux, a Cos D’Estournel, a Chateau Smith-Haut Laffite in a domestic Napa wine? There you are. Jason Moore is a rare breed of blending master creating stunning quality, short quantity product. But let me stop pontificating and get to the darn wine. Modus Operandi Sauvignon Blanc 2010 is a small batch (only 200 cases made!) 100% Sauvignon Blanc from Rutherford Valley, Napa, CA. Slightly high in alcohol(14.2%), the first thing you notice when opening is a funky glass-rubberized stopper instead of a cork. This allows you to seal the bottle well between glasses or servings, without breaking the cork or using a screw cap. Nice, classy touch. I’ve been drinking this same bottle for several nights now. I opened and tasted, and enjoyed the wine so much I stopped caring about taking notes. The second night was much like the first. The third, I made my neighbor taste and discuss the wine with me, and today I’m determined to write it down. 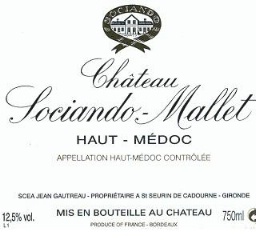 The wine has a pale straw color, with a delicate floral nose of faint orchid and a hint of citrus. The palate is very tropical in the initial taste, then grapefruit, white peach, lemon and lime become dominant as the wine moves backwards and warms in temperature. It’s as if this wine is a hybrid of the best of Napa, New Zealand and Bordeaux. The wine is crisp, dry, sophisticated, and features a lengthy finish that continues to demonstrate the balance and structure. For those who don’t care for Sauvignon or Fume Blanc wines and complain about the odor of cat urine, I find this wine to be the least offensive and among the most pleasurable to drink of classic Sauv Blancs. The complexity baffled me on my first exposure, and my mouth simply adored what it was experiencing. It’s a little hard to identify- for me it took concentrated effort. How would I summarize this wine? I’d call it stellar, complex, singular- even profound. Honestly, I find this to be the kind of wine that is served as a pairing wine at the finest restaurants, such as New York’s Le Bernadin, Per Se, and Daniel, California’s French Laundry, and Ortolan, Chicago’s Alinea and Charlie Trotter’s, and Washington, DC’s Citronelle. This is a textbook example of a lush and complex wine these restaurants would snap up in a moment by the dozen cases to serve with a specific dish to make the perfect pairing, and which would easily demand $30/glass or $120/bottle by the restaurant. On a lower scale, today I had visited a Manhattan restaurant and ordered halibut with an artichoke sauce that was nicely cooked, I selected an ‘09 Montepulciano d’Abruzzo which paired ok with the sauce and not with the fish, but this advanced, deep and complex Sauvignon Blanc pairing would have paired both in differing, powerful ways and taken the dish above its station to the next level, which is what real cuisine is all about! At $33/bottle direct from Modus Wines, it’s no bargain basement wine or an every day quaff for 90% of the wine lovers out there. But as long as Moore is making wines at this level, I’d love to be able to score a case of this each year to put in the cellar and bring out for Thanksgiving, July 4, and special occasions… or just special pairings, as a mere sip brings a smile to my face. What blows my mind is that this winemaker has managed to stun me FOUR times with four wines. Moore is blending grapes and making master-level wines, in small quantities, at a world-class level. What will he do next? I’m on the edge of my seat to find out.